About the offer is provided on the Samsung online store. And in your mobile store, this offer will be available from August 1. 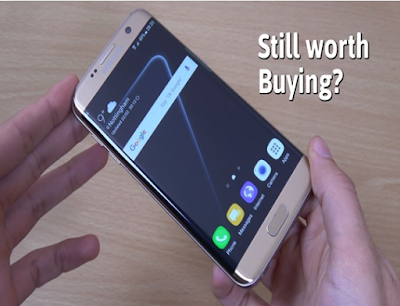 The Samsung Galaxy S7 is being sold for Rs 39,400 and it will get a cashback of Rs 4,000 for purchasing it with a debit or credit card. Apart from this, exemption of old phone can be exempted up to Rs 12,000. However, the exchanges offer will depend on the smart phone you are offering. Apart from this, Reliance Jio is talking about additional 180 Gb data and Bajaj Finisher is the option of No Cost Emi. The 32 GB variant of Samsung Galaxy S7 Edge is Rs 42,900 and cashback offers 8,000 rupees. For this, you have to use a debit or credit card. Apart from this, there is an exchange discount offer of up to Rs 12,000 with a smartphone. Samsung Galaxy S 7 Edge is available for Rs 48,900 128GB variants and have 32 GB variants with cashback and Exchange Offer with. Under the Independence Day offer, a 24 month EMI option is also being given. Samsung Galaxy S7 Edge's 128 GB Variant is available only in Black Pearl colours at Samsung Store. At the same time, the 32 GB variant of the Samsung Galaxy S7 is in different colors. There are no offers available with these phones on Flipkart website. At the same time, Amazon India has an exchange offer of up to Rs 22,055, but only 32 GB variants. The 128 GB variant is not available on Flipkart and Amazon's site.